When the Revolutionary War began, the odds of a united, continental effort to resist the British seemed nearly impossible. Few on either side of the Atlantic expected thirteen colonies to stick together in a war against their cultural cousins. 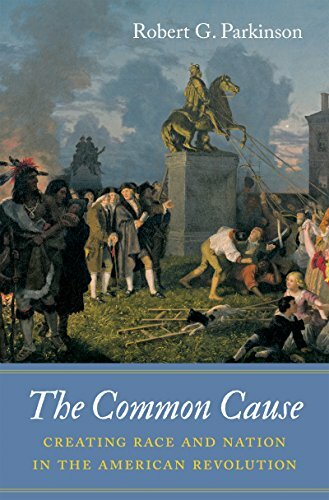 In this pathbreaking book, Robert Parkinson argues that to unify the patriot side, political and communications leaders linked British tyranny to colonial prejudices, stereotypes, and fears about insurrectionary slaves and violent Indians. Manipulating newspaper networks, Washington, Jefferson, Adams, Franklin, and their fellow agitators broadcast stories of British agents inciting African Americans and Indians to take up arms against the American rebellion. Using rhetoric like "domestic insurrectionists" and "merciless savages," the founding fathers rallied the people around a common enemy and made racial prejudice a cornerstone of the new Republic. 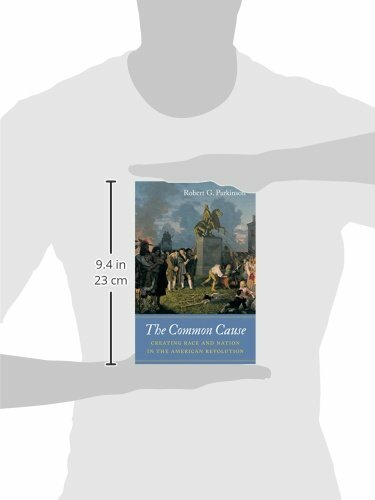 In a fresh reading of the founding moment, Parkinson demonstrates the dual projection of the "common cause." Patriots through both an ideological appeal to popular rights and a wartime movement against a host of British-recruited slaves and Indians forged a racialized, exclusionary model of American citizenship.